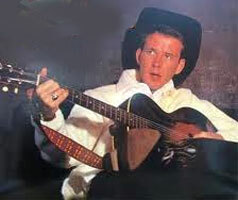 Chanteur Country Pop US né Johnny Lawrence Finnegan, le 10 Août 1938 à New York. 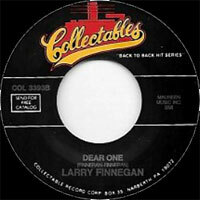 Larry Finnegan est décédé le 22 Juillet 1973. Born Johnny Lawrence Finnegan, 10 August 1938, New York City, New York, USA, dead 22 July 1973. 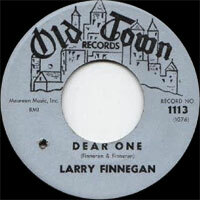 Finnegan nearly reached the Top 10 in 1962 with a single called ‘Dear One’, but never had another hit. 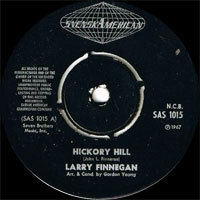 Having studied several instruments in his youth, Finnegan and his brother Vinnie co-wrote the song that would put him on the charts in 1961. 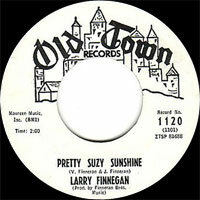 He recorded a demo of the song on his own and took it to Hy Weiss of Old Town Records, who then signed him. 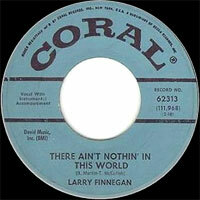 The up-tempo country song ultimately reached number 11 in early 1962, but follow-up attempts failed, and in 1966 Finnegan moved to Sweden, where he started his own record label, SvenskAmerican. 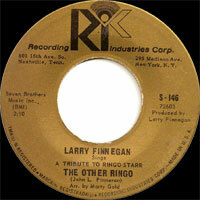 He then moved on to Switzerland and came back to the USA in 1970, where he died of a brain tumour in 1973. 1966 SP SvenskAmerican SAS 1001 (SW) .